We are all spirits embodied in flesh, here to enjoy life and live it to the fullest. In the balance of everyday, we must also find the time to take care of ourselves, nurturing the duality of who we are. Honoring the Yin as well as the Yang. 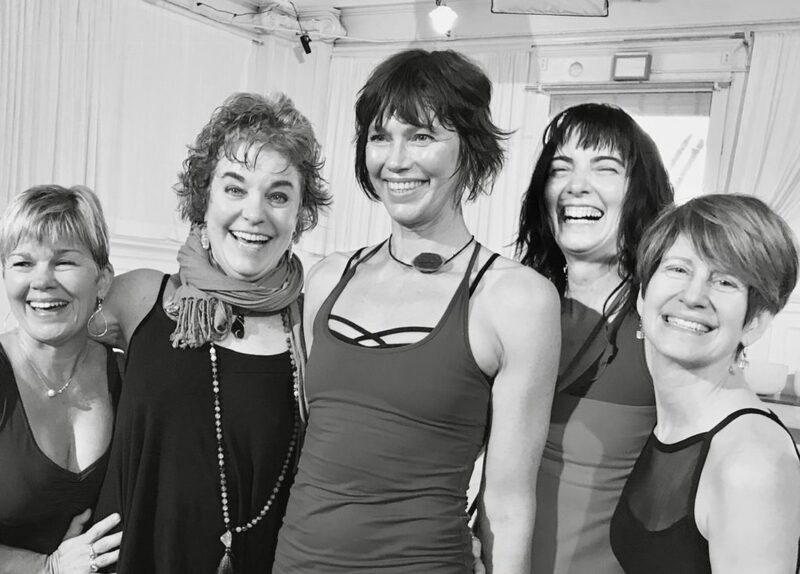 Wonderful Spirits from our Nia FreeDance weekend in Santa Fe! 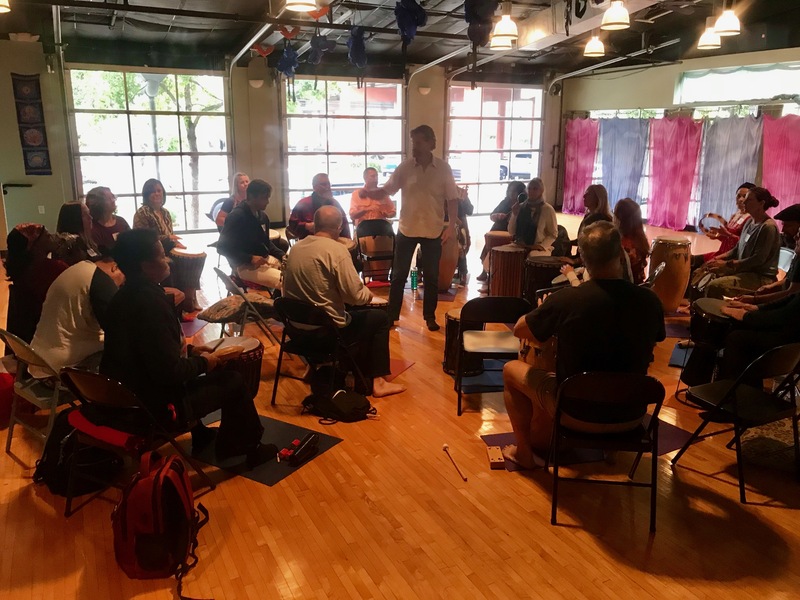 I hope you will join me and others this week in class, as we find internal balance that is essential to existence, BE-ing present with the messages that our body sends us. Balancing in/out, strength/flexibility, up/down, body/spirit are all ways to recognize the necessity of taking care of ourselves, so we can also be of service to others. Yin/Yang. Shining Light BE-ings from a Transformational Breath® experience! When we go to a class or participate in a physical activity in the company of others, we nurture not only our body, but also our spirit. Nurturing our soul surrounded by people who support us on our path, even if we choose to be quiet, feeds the essence of who we are, as human BE-ings. SEE you soon dear friends! 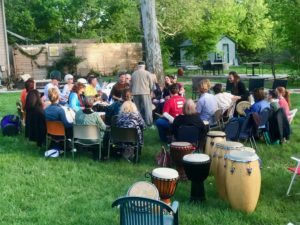 DRUM CIRCLE SUNDAY! 2:00… Bring friends! degree that we embrace both sides of our beings. can lead to ill health, emotional distress, and a sense of incompleteness. Both facets of the human experience play a vital role in our well-being. 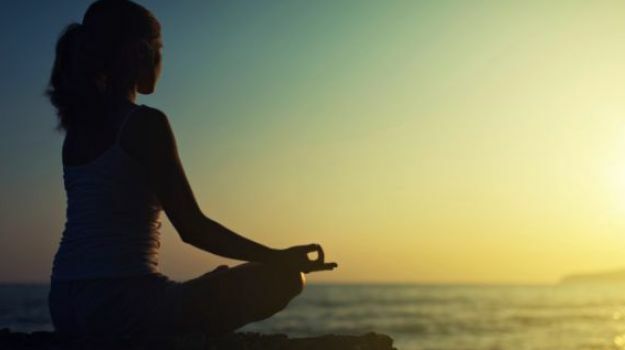 spiritual teachers agree that the body is one of the greatest vehicles through which to access the soul. In fact, many believe that our spirit has chosen to be embodied as an essential part of our spiritual development. best in each other, creating a vibrant, dynamic, and workable whole. ‘Many Hands Make Light Work!’ Alchemists Unite! As happens often in the world of light, hope, love and gratitude, an article auto-magically appeared in my email box this morning. After an amazing week immersed in Nia 2nd Degree Black Belt, ‘Art of Alchemy’, my heart smiled as I read the headline. Being a warrior who questions all, I live my life in both/and. It is my purpose to open pathways for healing paved in love. I cannot do that in an either/or world. Listening to the silence, I hear the magic of sound, and all the nuances in between. Walking in the dark, I see the light, and the beauty of color that emerges in the middle. I hope you will join me this week, as we celebrate my 60th revolution around the sun, Tuesday, January 29 at 6:30pm. Drop by The Synergy Studio, for a beverage, a bite and bit of alchemy. Seeing you and being in commUnity is the greatest gift of all. Love donations to our non-profit, The Synergy Studio Community, will help us move our floors as we step forward into a bright future, BEing the alchemists of light and spreading the magic of love. The Synergy Studio is a healing space for everyBody. 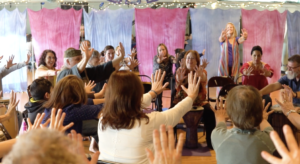 Bring the high vibration of breath into your life by joining us this next weekend for Breath and Movement™, an introductory weekend to Transformational Breath®. Experience Friday night only, or the entire weekend. We have room for you! Click here to read more. 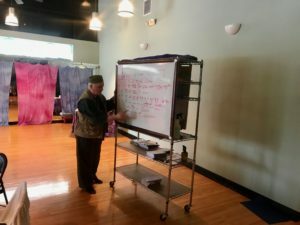 My classes this week will focus on the 5 Elements: Earth, Water, Wind, Fire, Ether, with an intent to experience the alchemy in your Body, Emotions, Mind and Spirit. Alchemy with fellow Nia Trainers! See the link below to the thought-filled article about living with both/and, as well as a scanned copy. ‘We live in a world full of polarities and reconciling these opposites is often perplexing. Well, which is it — “out of sight, out of mind” or “absence makes the heart grow fonder”? Consider these pairs of proverbs or sayings. Look before you leap/he who hesitates is lost; better safe than sorry/nothing ventured nothing gained; don’t judge a book by its cover/clothes make the man; the squeaky wheel gets the grease/silence is golden; many hands make light work/too many cooks spoil the broth. Of course, under highly defined conditions there are mutually exclusive instances. For example, heads or tails in coin tosses and odd or even numbers. Someone might think that “night and day” would be an example also, but what about twilight and dawn? We live in a world full of polarities, and reconciling these opposites is often perplexing. We use pattern recognition, comparing and contrasting to help navigate our lives. Most people are at least cursorily familiar with the Taoist symbol of universal opposites yin and yang, the circle of two “fishes” of black and white flowing from and into one another. Without going into a lengthy discussion of the properties of the elements, this symbol represents the interdependency of opposites. One note, however, is that the contrasting dot, or “eye,” in each section represents the seed or potential of the other in each side. 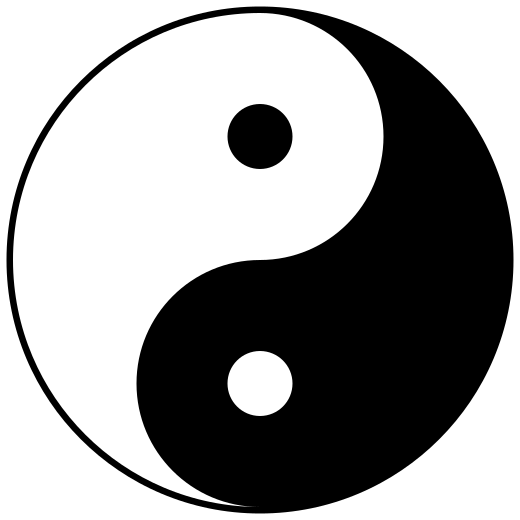 Thus this symbol illustrates how any pair of opposites can also be both/and instead of only either/or. There are some people who, if they started reading this column, probably stopped before this point. They have little tolerance for the ideas contained here, which they would likely characterize as “fuzzy” thinking. They are straight and precise. Their paths are clear and exclusive of the other. The concept of either/or suits their mien. Their existence is natural and proper. These people are the “yang” side to the “yin” of other people who are more holistic and favor the idea of both/and. So class, your assignment, due in one week, is an essay (1,000 word minimum) with proper citations comparing and contrasting the philosophies of dualism and Monism. 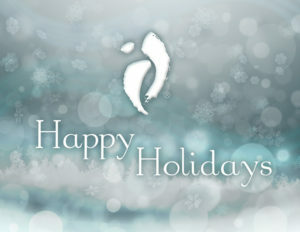 We are Celebrating Life again for our 12th Annual New Year’s Day Ceremonial Celebration! 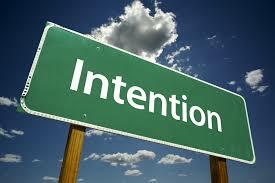 Intentions sent up and out! With musicians playing the Hong, Crystal Bowls, Tibetan Bowls, and Rain Stick, we will set our intentions during a meditation/reflection time. After putting our intentions on paper, they will be ‘flash’ burned and sent up to the Universe… and then???? A ROCKING Drum and Dance Circle! Read more about our upcoming events! FUN is IN THE HOUSE! Click here! Time for Integration! 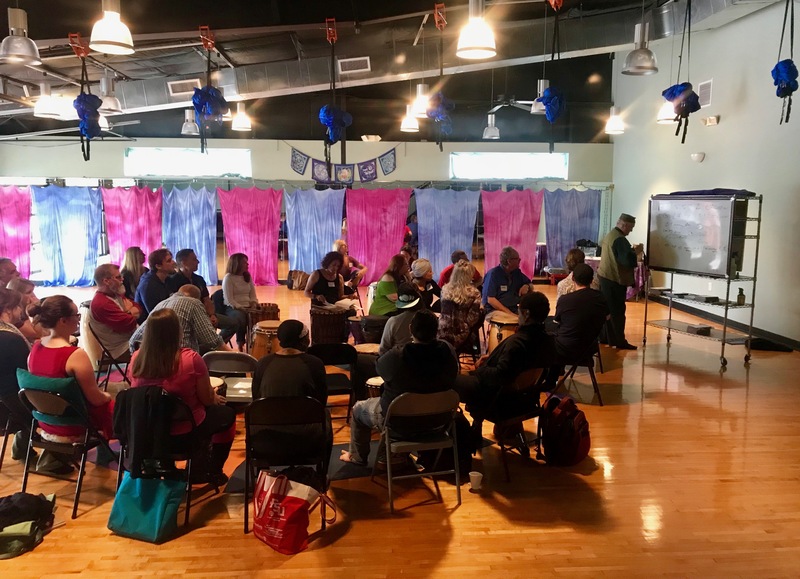 Let’s Co-Create Change! In this era of divisiveness, its time to come together, sharing what we love, and co-creating CHANGE. I’ve long been a believer in integrating multiple inspirational practices, adding them to my life so I can learn and grow. 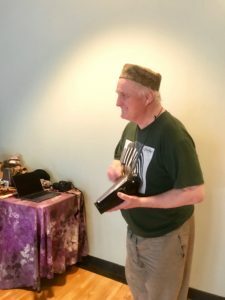 In addition, I love sharing them with people, as well as encouraging them to experience and learn from the MANY amazing healing modalities offered around the world. Nia, Transformational Breath®, Nia FreeDance, Village Music Circles, Yoga, 5Rhythms, SoulMotion, JourneyDance, ChakraDance, Taijifit … the list goes on and on. How many have you heard of, seen or experienced? 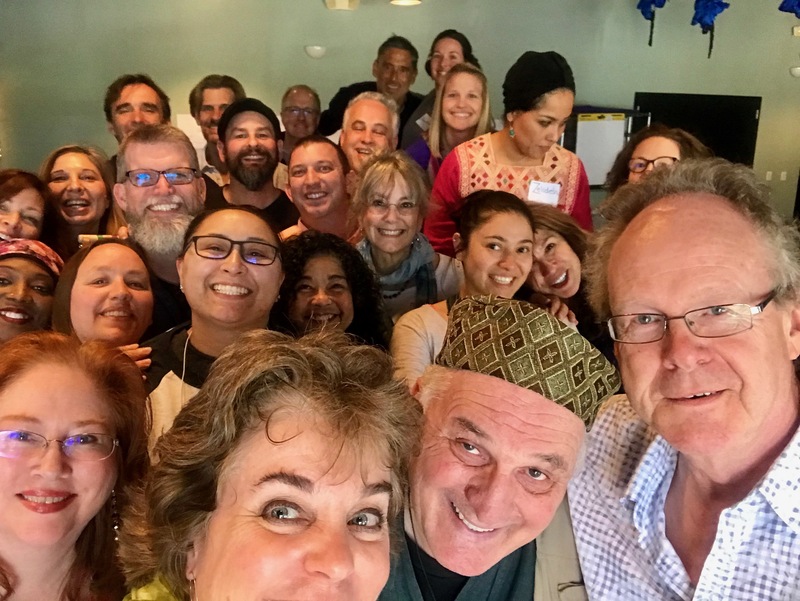 With my love of bringing commUNITY together, I don’t hesitate to talk to others about these amazing practices, whether sitting on a airplane (which I do often! ), standing in the grocery line, or attending a black tie affair. It always starts with a smile, then the question, “How are you?”, followed by a gentle segue into what I’ve been integrating into my life. Inevitably, the people I’m chatting with say, “Wow, that is awesome. Tell me more.” Many times, it is followed by, “Where can I find this? I want to do it!” Out comes a card. 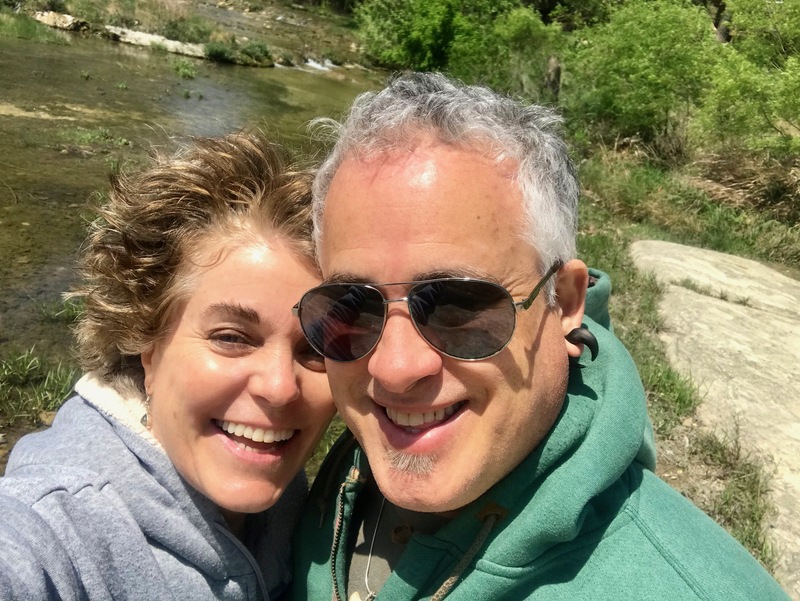 Some would say that this is marketing, As owner of The Synergy Studio for 15 years, being a Nia Trainer as well as a Transformational Breath® Senior Trainer, and also a Yoga instructor, YES it is! IT is MUCH bigger than simply marketing. It is about BE-ing the change that I want to see in the world. It is about sensing the need to return to simplicity, and our connection to others. It is about my belief that we are all light-beings, shape-shifters who have a desire to make a difference. 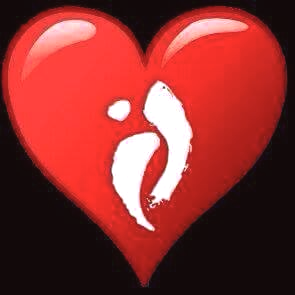 It is about my passion for our human race, our humanity. WE need to come together and share, integrating these amazing practices that we sense for ourselves and want for others. WE need to work together, to be the change that WE want to see in the world. 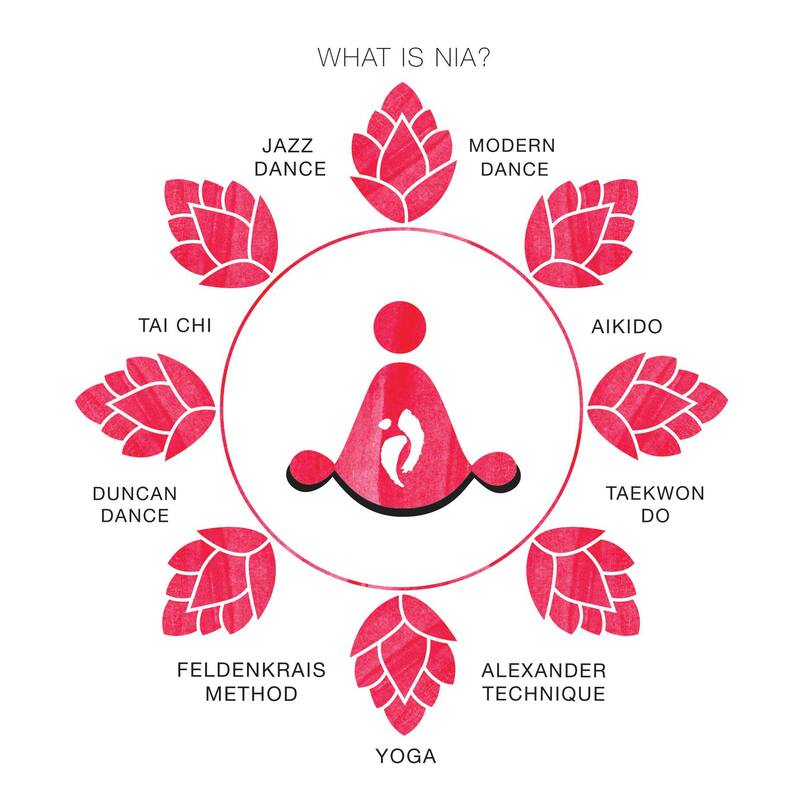 On Thursday this week, during my weekly Nia FreeDance class, I had two brand-new-to-Nia young mothers. 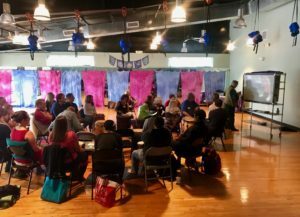 They were told by another young mother that they ‘had to come, let it go, and do something for themselves.’ They were both in tears throughout class, tears of joy. THAT is the change that is needed in our world, emotional flow, truth-telling, and living from the heart. Friday evening, I was honored to attend the first-ever teaching experience by someone who walked into her initial Nia class with me three years ago. She was coming out of a yoga class at the studio and heard laughter from the other space. After investigating, she joined us, and her transformation began. Three years later, and many classes in both Nia and Nia FreeDance, this ‘Intuitive Pediatric’ Physician began to explore other movement modalities. Her first class last night was her step into the waters, teaching a beginning Conscious Dance series. She had 15 people attend! Thank you to the world of Conscious Dance with over 100 iterations, and Mark Metz, the connector. 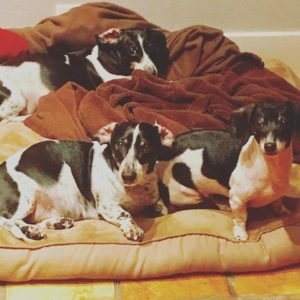 Check out what he just published this week about the studio. 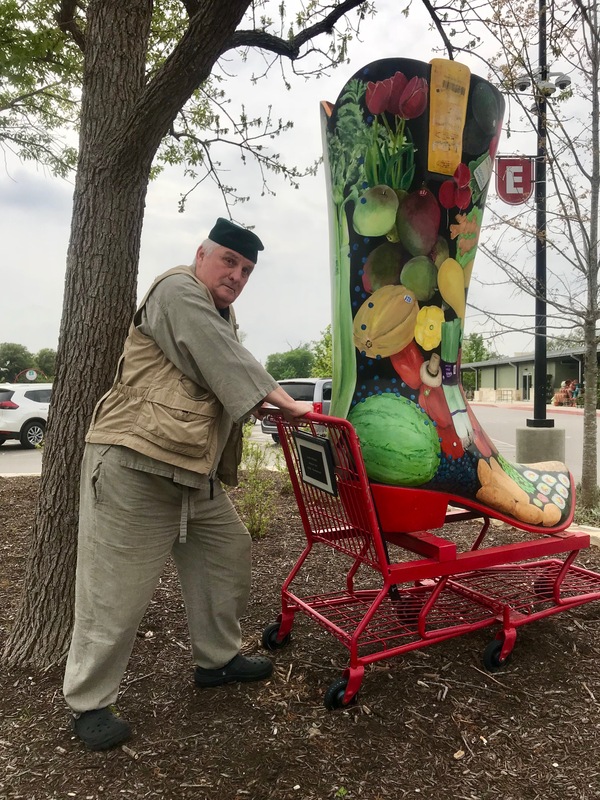 Deep gratitude Mark! 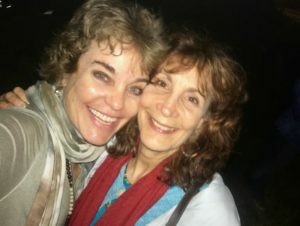 I also encourage you to read this Intuitive Pediatric’s blog on Conscious Dance. 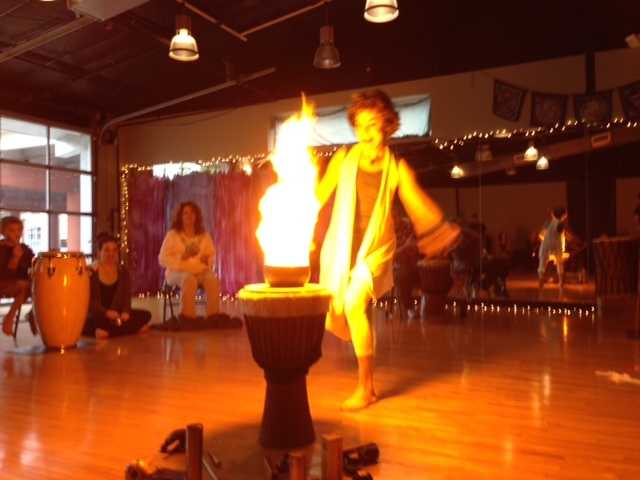 As I look forward to a week of teaching Nia, Nia FreeDance and Yoga classes daily, I am pumped! I am even MORE excited about the special class I’m teaching early Wednesday morning at 6:15am. Fifty scientists, nutritionists and physical therapists are coming to the studio from the National Cattlemen’s Association convention. 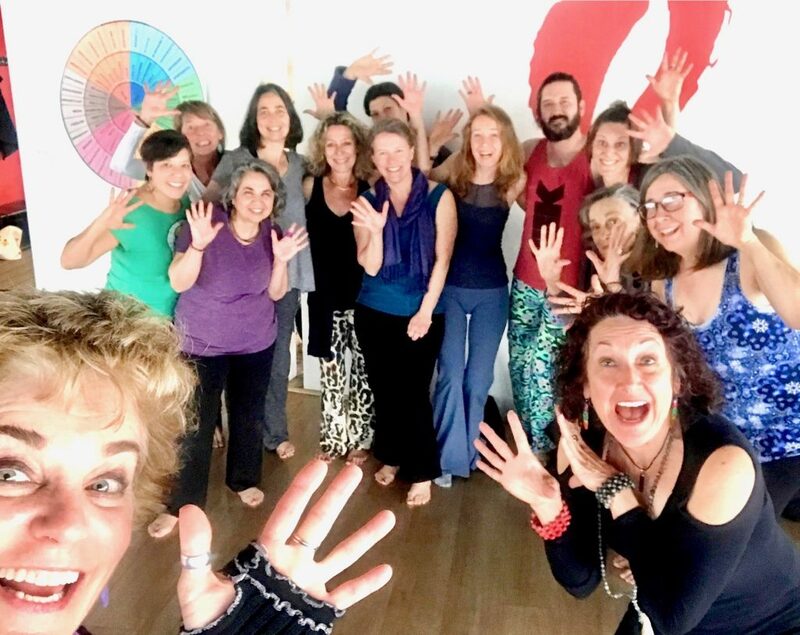 They emailed me about teaching an early morning yoga class, and after speaking with passion about all that we offer at the studio, they decided they wanted it all… Nia, Yoga, Breath. I’ll sneak in other practices too. An hour with 50 brand-new people who are studying the importance of protein for health, their findings to be published in the future. All it took was a smile, a question as I listened, and then a segue into my passion. My passion for humanity and all that WE can offer for BE-ing the change. It DOES take a village. In fact, it takes a Universe. 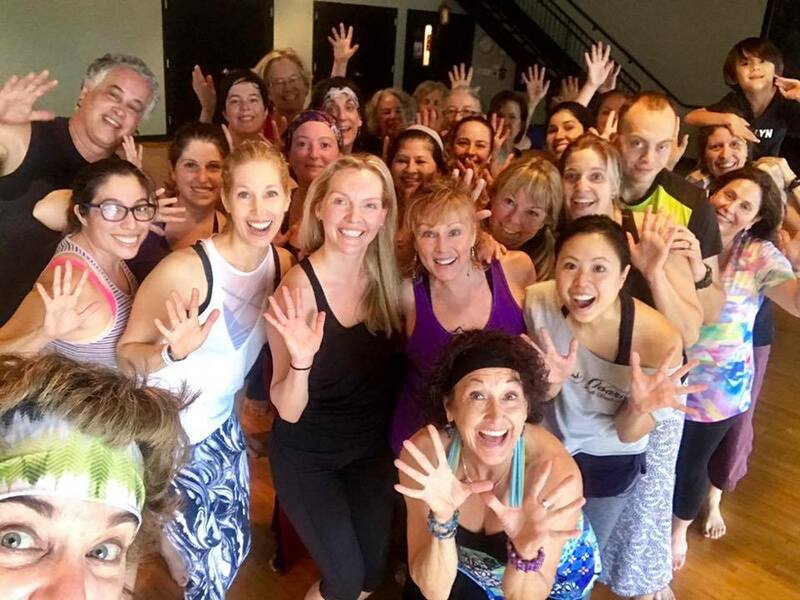 Do you want to learn more about The Synergy Studio and our amazing commUNITY? Where’s the fun? A question that one of my greatest mentors used to ask. Carlos Aya Rosas, co- founder of Nia Technique, was famous for this statement, especially in moments when it seemed non-existent. Laughter always followed the question! FUN is always with us. When we notice the smallest of delights… the morning reflection of the rising sun on the trees, the big eyes of a child staring at us in a restaurant, the wiggle of a baby when he hears music, the snuggle of a dachshund under the covers in the middle of the night… small delights that are FUN! 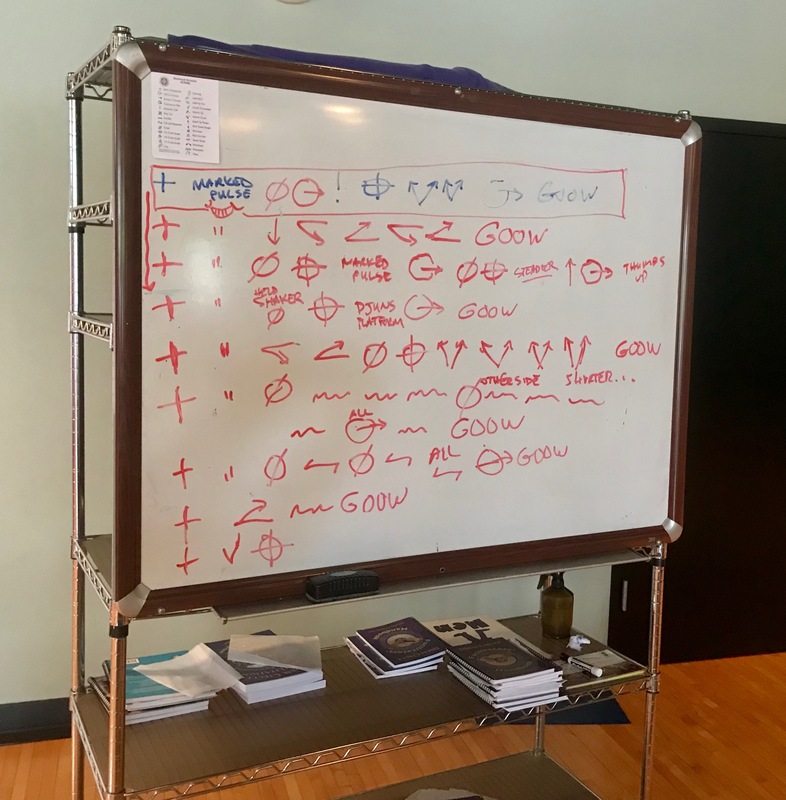 I’ve been focusing a lot in the last month on setting positive intentions in motion, as well as the ‘issues in our tissues’ discussing our fascia. They are all inter-related, and we can add FUN into the mix. When I move my body, do my 100 Breaths to Joy in the morning, or even when I’m in shavasana or sukasana in yoga, I can sense energy running through my tissues. This sensation is one that is coming from my fascia. 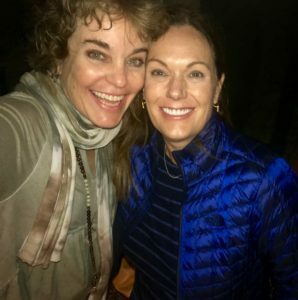 When I acknowledge this sensation with gratitude, saying a positive intention such as “I am flowing with ease,” I feel a warm, uplifting lightness, and I say… “THIS is fun!” Sometimes I even laugh out loud! Intention + Gratitude = Fascia FUN. My new mantra! Did you miss the link to the amazing German documentary on the Fascia (*connective tissue) in your body? It is a MUST see! You will be amazed. Here is the link again, as promised! 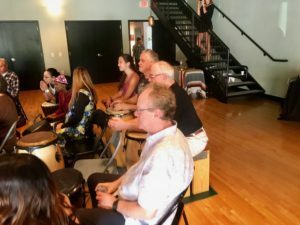 We are having FUN Drum Circles twice a month at The Synergy Studio! 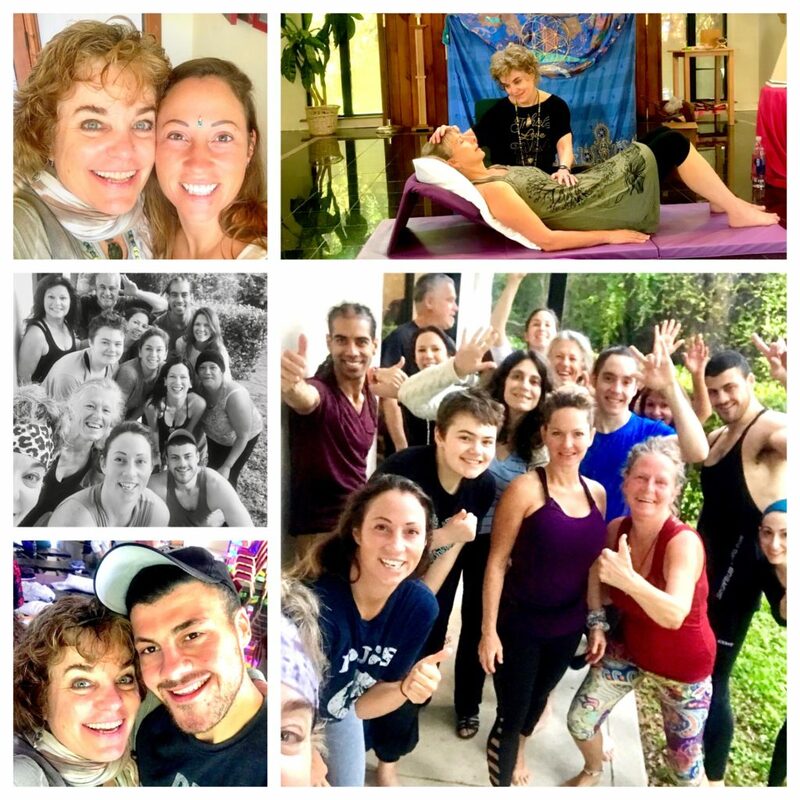 With an upcoming 4-week Intro to Yoga Series, Nia FreeDance Weekend, Breath and Movement® Weekend, Saxophone Soundbath Evening, Nia White Belt, and more on the horizon (a FUN retreat to Mexico! 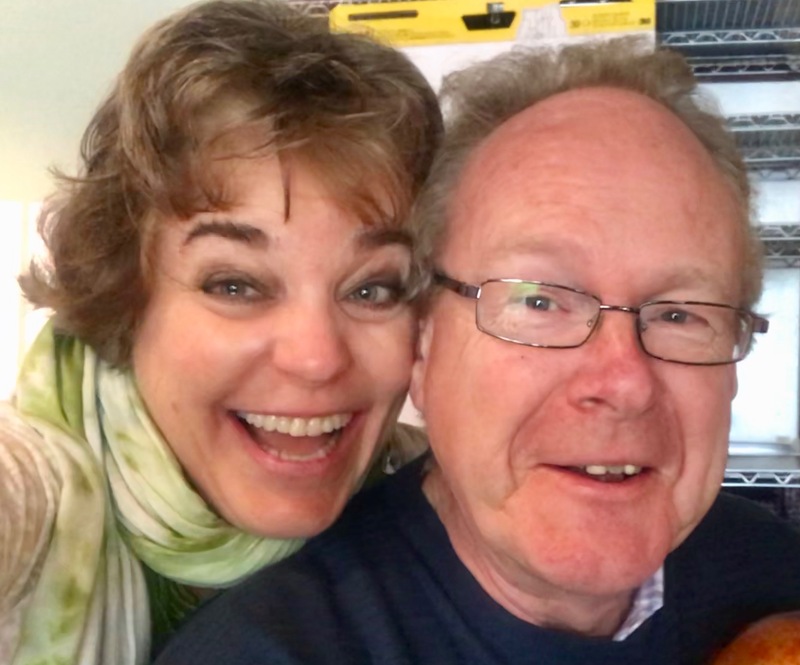 )… WE are not lacking in FUN at The Synergy Studio. 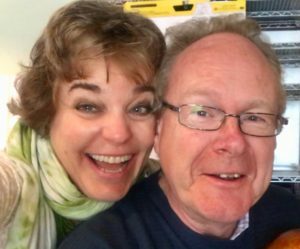 Join us to feel warm, uplifting lightness, and you just might laugh out loud! Bring your FUN to class this week and next… let’s play! Where’s the FUN? Answer: It is coded in your body. In the world of dance, yoga and everyday comfort, I have hit on a winner! Thai Harem Pants has some amazing, colorful and comfortable clothing that feels great on my skin. 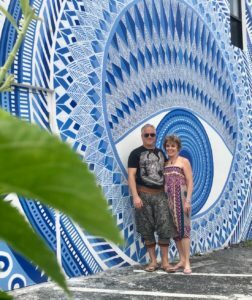 From leggings to Thai Hill Tribe to Harem pants, I am LOVING wearing them daily. 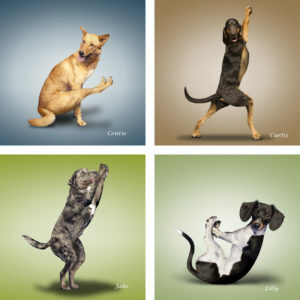 Check it out Nia, Yoga, Nia FreeDance friends! number 13~ how many ways can you FLOW this number? We all have numerous joints in our body, and yet 13 of these are vital to our structure, to our balance, to the movement of energy everyday. Ankles, knees, hips, shoulders, elbows, wrists and spine. In Nia, we call these the 13 main joints, and by consciously activating these 13 joints everyday, we bring the vitality and youthfulness that our bones and muscles crave. We FLOW from the Earth all the way up our body! Join me in class this week, as we FLOW into the new Nia routine with grace, ease, and Natural Time. 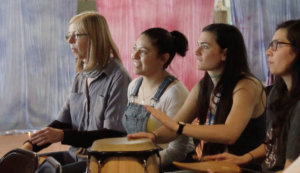 Everyday, I will be FLOWing with a song or two from this fantastic routine, in anticipation of a Nia Belt gathering on Friday afternoon, where we will be dancing the routine together, learning and growing our commUNITY, as we get ready to introduce it! Join me this week on the dance floor. All at The Synergy Studio! Did you know that fear of the number 13 is called “triskaidekaphobia”. hmmm…. why fear? Read on! Raising the Vibration from a CELL-ular Level! I find myself on the other side of an amazing experience that is imprinted in my cells, vibrating forever at a higher frequency. 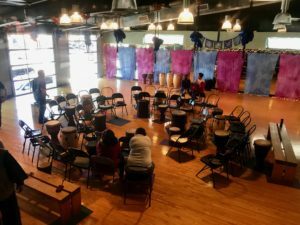 I have been deep in the manifestation process of producing James Asher (CELL-ebrate musician extraordinaire) and Arthur Hull (Creator of Village Music Circles), for a fantastic commUNITY building Drum Circle Facilitation Playshop. It is truly a story of CONNECTION. From a cellular perspective, it is connective tissue from the inside out. 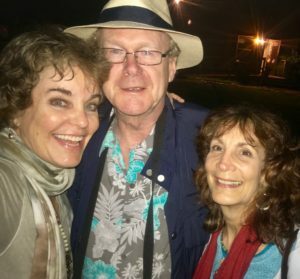 They traveled to San Antonio for the first time, from the UK and California, to grace us with their time, dedication and gifts. 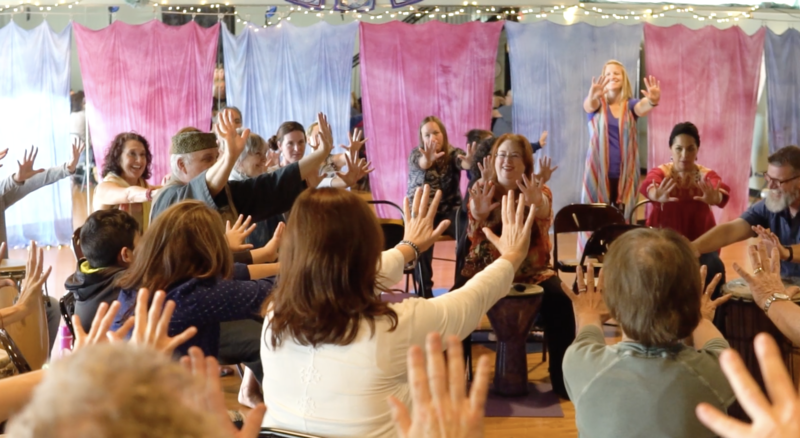 A fantastic week of sharing, dreaming, creating, and manifesting ensued. It all began over 2 years ago, when I was choosing the music for an upcoming Nia routine. I was drawn to a CD by James Asher, called Drum Travel. One song in particular, ‘Hey Wanaina,’ held a deeper connection to my love of singing and chanting, as well as the Native American languages from my birth state of Oklahoma. I wrote James’ website to inquire what the words meant in this beautiful song, and he wrote me back personally within 15 minutes! When asked about the possibility of the three of us getting together in San Antonio, I jumped at the opportunity! We spent a week, traveling through the beautiful Texas Hill Country, spending time on the Blanco River in Wimberley, experiencing an amazing Drum Circle in Austin, and culminating in a weekend Drum Circle Facilitation Playshop in San Antonio with 27 participants, including Arthur, James and me. 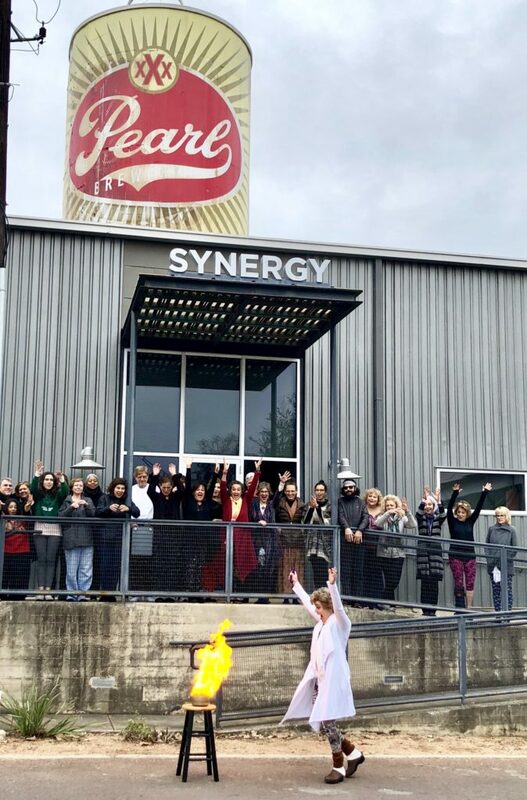 The CONNECTION web grew even larger when we received notice that The Synergy Studio was given the ‘go’ for a non-profit 501(c)(3) arm, called The Synergy Studio Community. 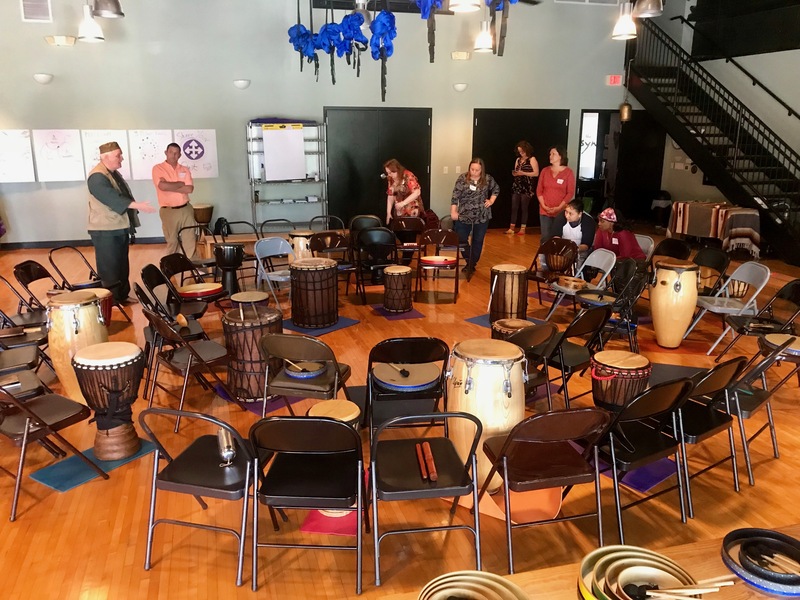 In less than three weeks, we raised enough financial support to fund 5 people for the weekend from our greater non-profit sector, allowing the healing power of drum circles to expand. With Drum Circle Facilitators in place, The Children’s Rehabilitation Institute, SAMMinistries, Alpha Home, Haven for Hope, as well as Ft. Sam Houston, will now have people who can bring commUNITY and healing to these populations. 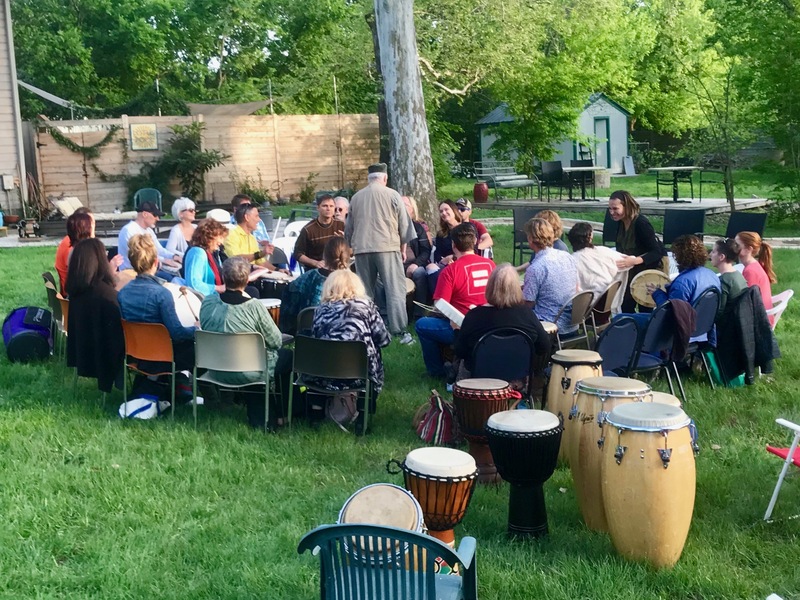 Benefiting from CONNECTION to the drum beat of their heart, the heart of others, as well as the heart of Mother Earth, drum circles will be happening all over San Antonio! What does this all mean from a deep cellular level? 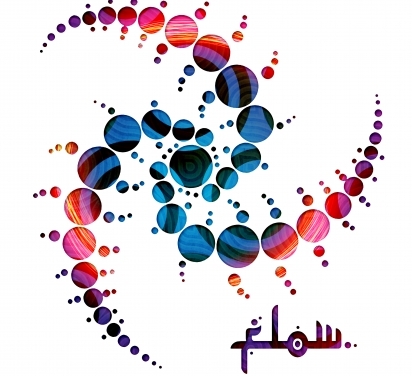 Our cells are microcosms of the Universe, spiraling in motion, changing moment to moment. Our cells are living organisms that are affected by our words, our actions, and our intentions. 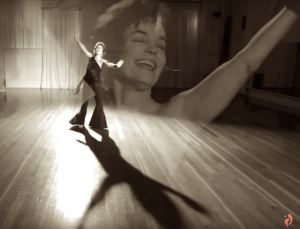 When we dance, when we drum, and even when we smile, our cells are affected. When we think positive thoughts, speak empowering words and share positive vibrations with others, we are healing from the inside out. WE are making a difference one body at a time, starting with ourSELF. We can BE the change that we want to see in the world, if we go to that deep level of appreciation for each breath, each movement, each cell. Raising the vibration, and BEing the change. Is it a resolution or an intention? I love setting intentions everyday. 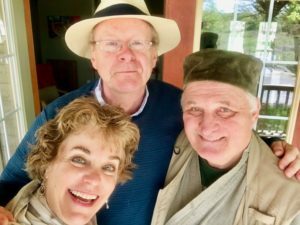 While we have the term “New Year’s Resolution”, a resolution means ‘a firm decision to do or not do something: the action of solving a problem, dispute, or contentious matter.’ An intention is ‘a thing intended: an aim or plan.’ Doesn’t the word intention resonate differently, in a positive way? Energy truly does follow intention, and when we give our ‘attention’ to a positive ‘intention,’ the energy flows that direction. This is the power of affirmations, of setting positive intentions on a daily, yearly and even moment to moment basis. My word for the year… Transformation. As I look ahead to a year of Transformation, the known as well as unknown, I am reminded to take one breath. I take one breath of courage, and say my positive affirmation “Now I am transforming.” Set into motion with my breath, the ‘Transformation’ auto-magically happens. It happens moment to moment and my body is filled with life-force energy, love and courage to move forward. How about you? What is your intention for this moment? For this day? For 2018? I am sparkalating inside with excitement! Take a breath and step in! BE the change. 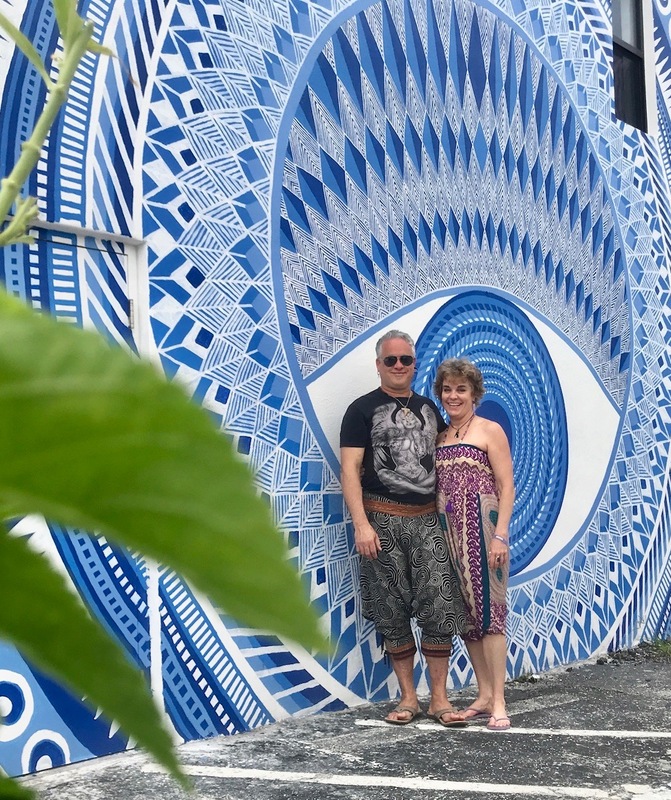 From the wise Madisyn Taylor of Daily Om… Our destinies are one of the greatest assets we possess, so we serve ourselves well when we are careful to always make decisions that are reflective of both the values we hold dear and the goals we hope to someday accomplish. 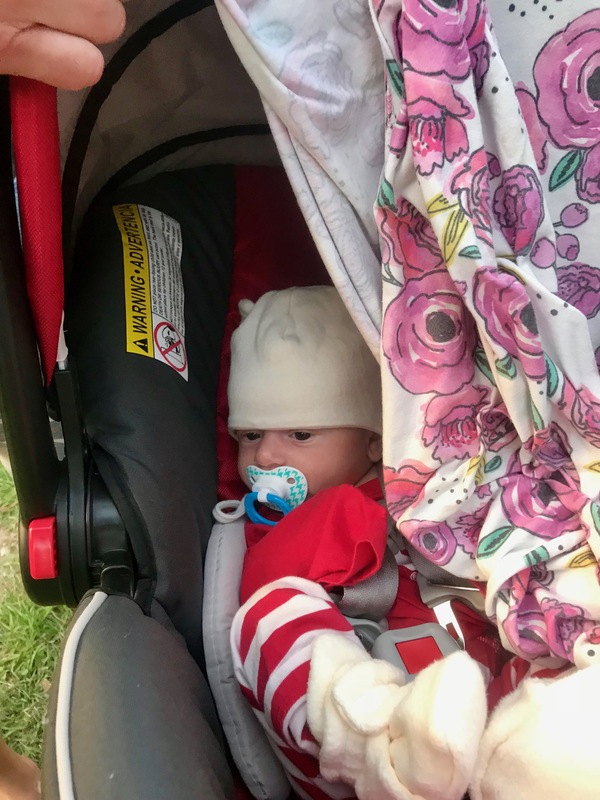 We should not let our tentative approach to potentially life-altering decisions interfere with our enthusiasm for those paths that lie untrodden, however. Great care is most effective when paired with a sincere eagerness that ensures that we do not become paralyzed by uncertainty. We are willing to subject ourselves to choices that are challenging because we understand that there are wonderful rewards waiting for us in the future if we are willing to do what it takes to reach them. Today the caution with which we make decisions will help guarantee that our worldly endeavors will eventually be met with success. How often do you practice something that is an integral part of your life? How often do you give conscious attention to this integral practice? The power of practice continues to bring more clarity to my life on a daily basis. Isolating to integrate is not something I do and then release, saying “I got it.” Continuing to consciously practice every day is what keeps me on point. This week has been a perfect example. 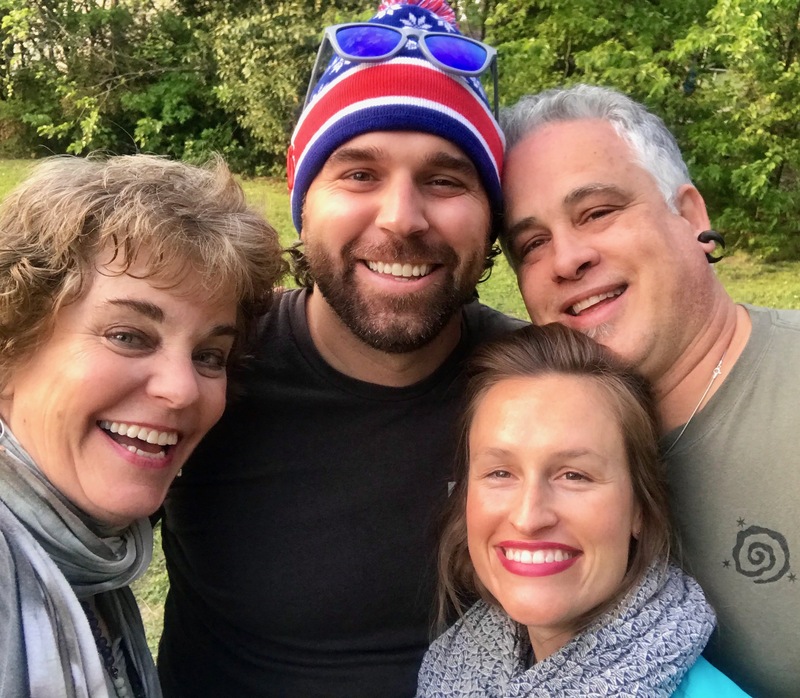 One of the many practices from the Nia White Belt that are integral to my life is the awareness of my four energy allies. Not taking anything personally, not assuming anything, speaking impeccably, and always doing my best are present with me every day. Practicing them with consciousness sometimes takes an outside push. 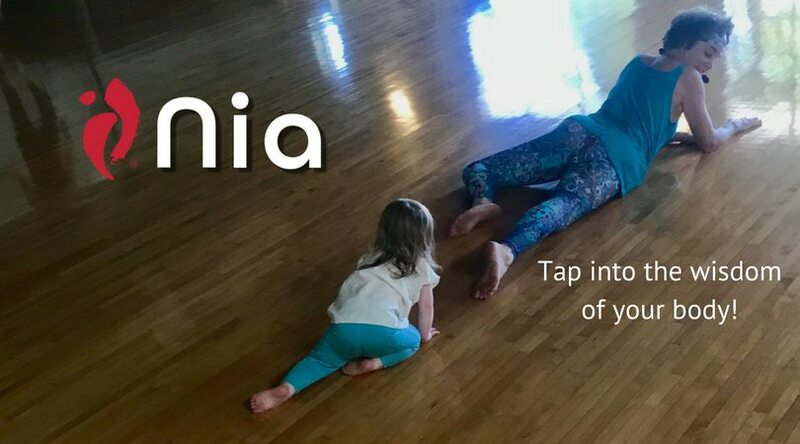 Wednesday, I had three sibling millennials in my class who were new to the studio as well as new to Nia, one man and two women. Speaking impeccably, I set the focus for class and gave a 2 minute explanation of Nia, as we gathered in a circle. They were engaged and seemed excited to move with us. 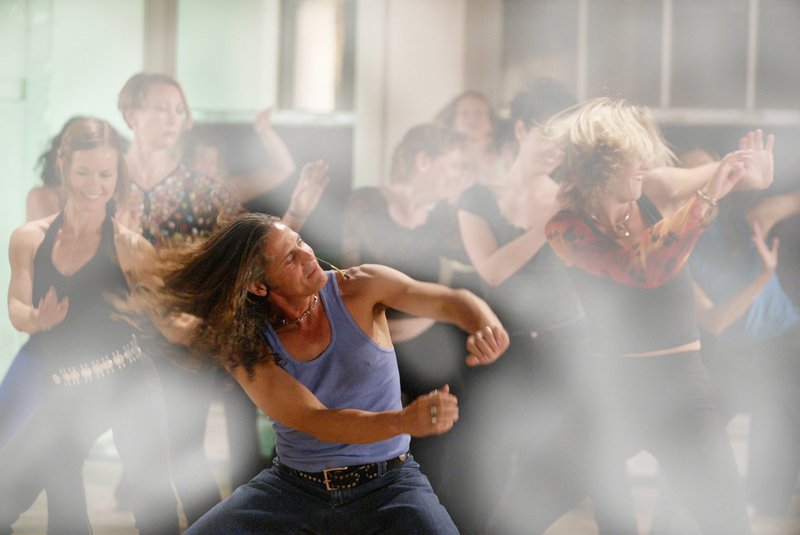 We danced the routine Humanity, as I did my best to deliver the Nia promise, a systemic, full body experience. We were moving, shaking and getting a great work-out. Throughout class, the millennials would suddenly stop moving and go to the back of the room, pick up their phones, and start talking to one another. They would enter and exit the class randomly, laughing and chatting. The good news? The rest of the class was fully engaged and not bothered by the disruption. Not assuming anything, I continued to teach a full-on class. 45 minutes into class, the millennials left. Did I take it personally? Absolutely not. 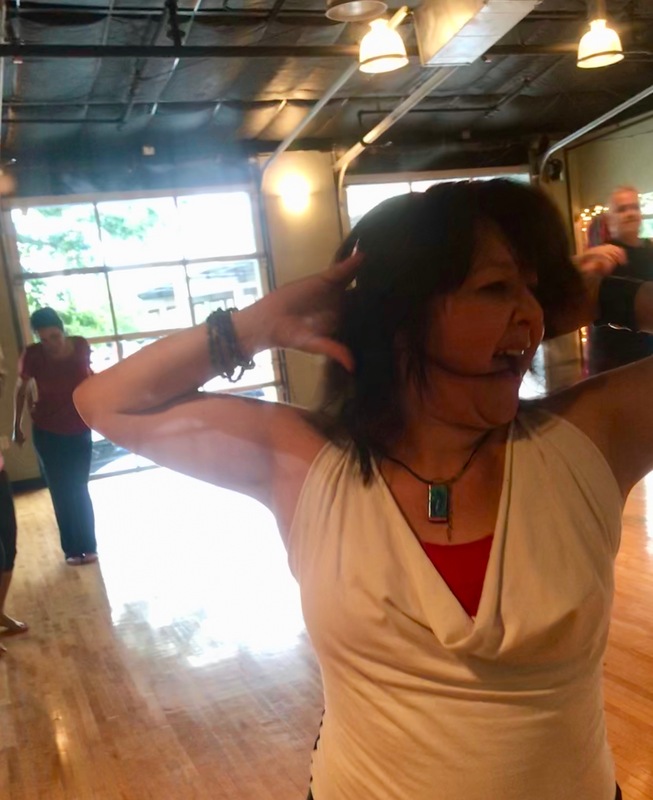 After 20+ years of teaching and keeping my energy allies with me all the time, I know that I don’t know what they thought, whether they enjoyed class, or whether I will see them again at the studio. While I truly believe that Nia is for everyBody, I also know that people come to Nia when they are ready. 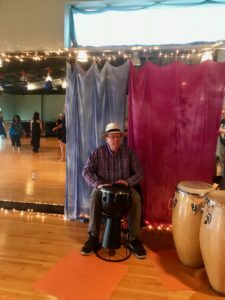 Did I feel sadness around a generation of adults who are so attached to their cell phones that an hour is difficult to let go and truly experience sensations in their body, and the healing power of movement? Absolutely. 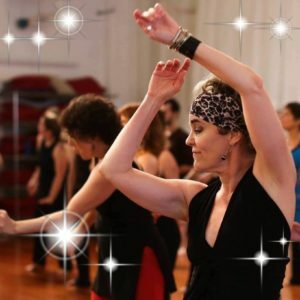 Thursday morning came around along with one of my favorite classes to teach, Nia FreeDance at 9:15am. Three different millennials came to class, two who were brand new to Nia FreeDance. Guess what? They LOVED it, and want to include it in their weekly practice! 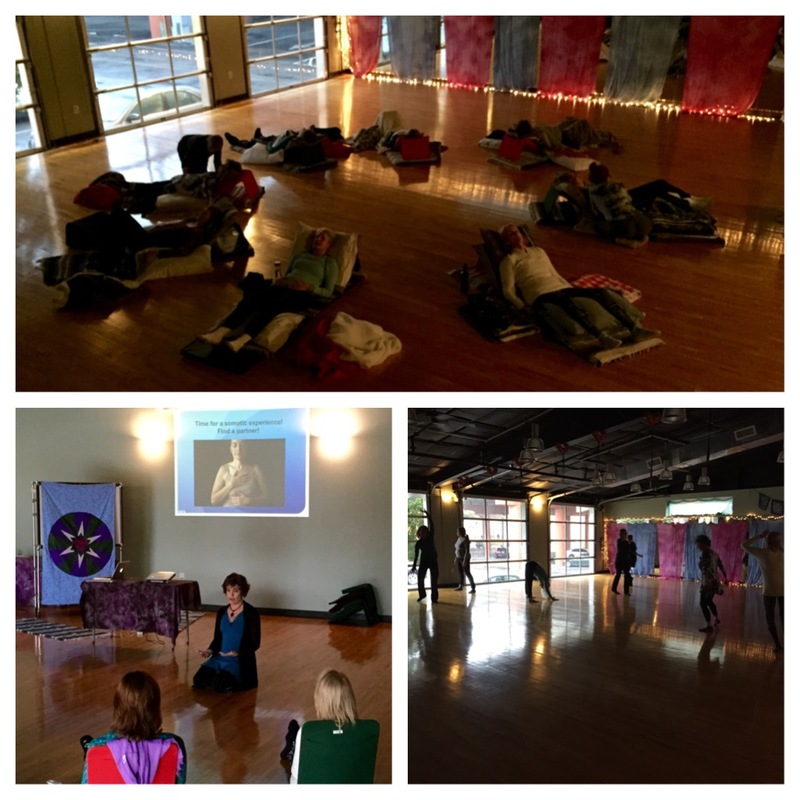 This morning, I taught Sanctuary, to a room full of lovely beings. Four were experiencing Nia for the first time, three of them visiting from New York and North Texas… and three of them were millennials! After class, the new students stayed after class, and we had an amazing conversation about Nia, the power of movement for healing, and the accessibility of this amazing practice for everyBody… every BODY when they are ready. Yesterday and today’s class of millennials were ready, and they loved the practice. 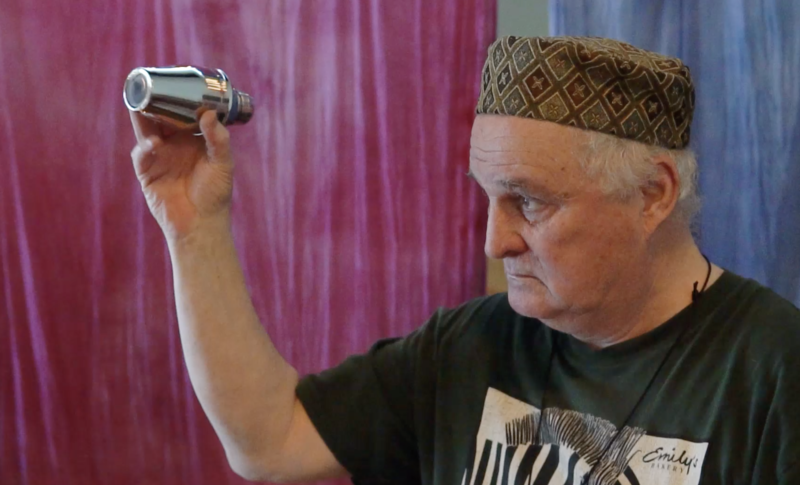 They loved experiencing the magic healing medicine of Nia. What I know from this week.. I spoke impeccably, did not assume anything, did my best, and did not take anything personally… all while delivering the Nia promise. Did it take 20+ years of teaching to get me there? No. 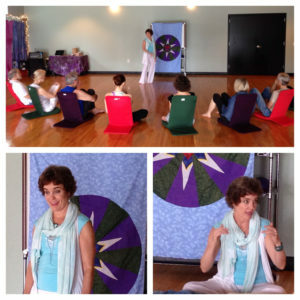 It was giving conscious attention to a practice that is integral to my life, to my health and wellness as a human being. 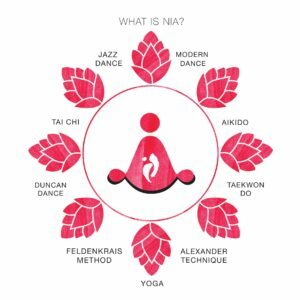 We are given so many amazing practices in the Nia White Belt. They are true gifts for living, present with our greatest companion and best friend, our body. Isolate to integrate… a PowerFULL practice.